If you have an exceptional credit score, you are in a great position for applying for a new credit card. With your established, positive credit history, the door opens to you for some of the best credit products around. So, which product is the best credit card for excellent credit, and how can you decide which one to get? 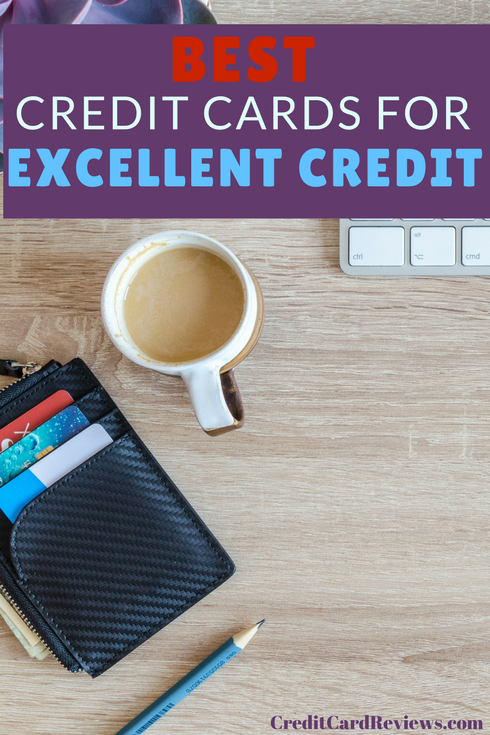 You aren’t likely to be shopping around for a credit card aimed at excellent credit unless you knew, well, that you in fact have excellent credit. This means that you have made a concerted effort to build a positive history over the years, and have been checking both your credit history and score to see where you stand. Having an excellent credit score has the ability to open many doors. Not only can you access the best product offers out there, but you are also privy to enviable interest rates. This applies to mortgages, auto loans, and even personal lines of credit, in addition to credit cards. There are credit cards out there that offer rewards in a variety of forms, depending on your spending habits and preferences. You can earn cash back rewards, which are redeemed in the form of gift cards, a check, or even a statement credit card. Some cards offer airline miles, which can be redeemed for flight fares or other travel expenses, and even converted to statement credits. Others will build up travel points or hotel points, which can then be used to cover all sorts of expenses when you travel. You can use them to pay for flights, cabs, toll fares, hotel stays, and even your latest Uber ride, depending on the card’s terms. Getting a rewards card makes sense, especially since you can earn all of this with the things you buy anyway. When you have an excellent credit score, it means that you have established yourself as creditworthy. After years of on-time payments, responsible spending, and maintaining little or no debt, you have earned a score at the top end of the spectrum. As a result, credit card companies are willing to reward you with better interest rates and limits. You pose a lower risk for them and they know that you are likely to spend responsibly… they want to encourage you to use their card to do so. In fact, data from Experian shows that the average credit limit for all consumers was $8,071 in 2016. However, for those with SuperPrime (781+) scores, the average limit jumped to $11,357. If you want a higher line of credit, you need a better credit score. The same goes for interest rates. According to ValuePenguin.com, the average APR on cash back credit cards was 20.9% in 2017. However, for those with excellent credit, this average dropped to only 13.24%, which is a drop of more than a third! 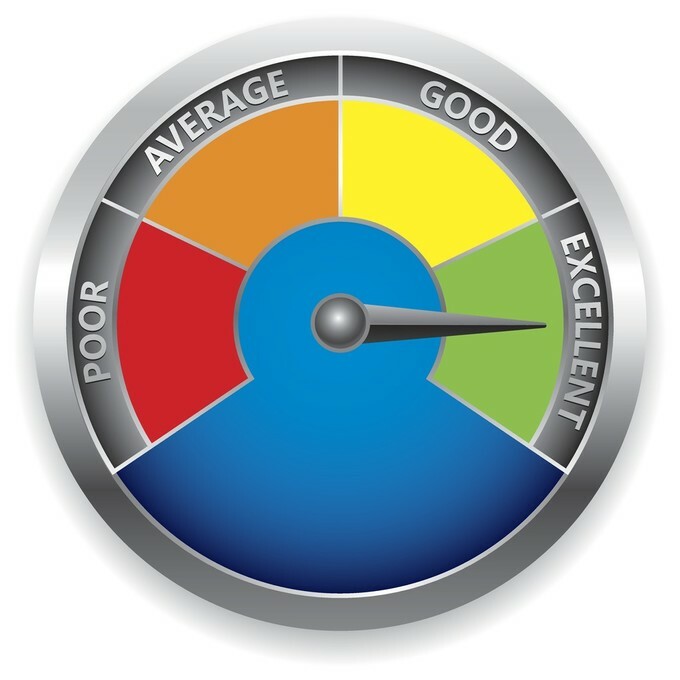 If you’re wondering whether your credit score is considered “excellent” or not, no worries. There are plenty of ways to check and monitor it regularly. Depending on your bank and the credit cards you already have, you may be able to get an estimated score for free. For example, Discover and Capital One offer scores for their customers both online and at the bottom of statements. You can also get your score for free through a service like Credit Karma, Credit Sesame, or even Experian. While none of these are your true FICO score, they can allow you estimate where you stand. You can also see how certain financial moves impact your score in either direction. If you’re ready to see your true credit score, like an up-to-date FICO 8, you can usually purchase this as an affordable add-on through any of the credit bureaus or credit monitoring companies. Having an excellent credit score – and responsibly managing your accounts – allows you to take advantage of carrying multiple credit cards. The benefit to this, of course, is the ability to capitalize on the various bonuses and benefits offered by each. For instance, if you have the Blue Cash Preferred Card from American Express, you’d be wise to use it to earn 6% back on groceries and 3% back on gas every single day. However, you only earn 1% back on everything else. So, what about your other expenses? Well, for things like your gym membership and cell phone bill, you could switch to your U.S. Bank Cash+ Visa Signature Card. That card allows you to pick two cash back categories each month where you’ll earn 5% cash back. To be approved for multiple cash back credit cards (especially those with the highest rewards), you’ll need a great credit score. These products are enviable and approval is a bit tougher than with your everyday card. There is no one perfect credit card for those with excellent credit. It largely depends on what you need from the card and how you plan to spend. For instance, how often do you travel? If you’re a regular jetsetter, a travel credit card will not only reward you for your airfare, hotel, and rental car expenses, but allow you to redeem earnings for your next trip. Plus, you can choose a card that offers perks like no foreign transaction fees, waived baggage charges, and rental car protection. Are you more concerned with everyday expenses, like groceries, gas, and utility bills? Then an everyday cash back credit card will give you the flexibility to earn on that type of spending, then redeem cash back in the form of a statement credit. Be sure to pick a card that matches your needs and your preferences for reward redemption. Picking the right card also depends on the welcome bonuses offered. There are some great ones out there, too, so make sure that you take advantage of them when you can! For example, the Chase Sapphire Preferred Card is offering 50,000 bonus points right now after you spend $4,000 on purchases in the first 3 months of holding the card. With the Wells Fargo Cash Wise Visa, you can get $200 after spending only $1,000 in the first three months. Different cards offer different sign-up bonuses, and the requirements for each vary. Before picking your next card, take some time to think about what would most benefit you. Consider how much you plan to charge in the first few months (so you can meet spending minimums) and how you’ll use the bonuses earned. Some of you may be reading this and thinking, I only have fair or good credit, but I want excellent credit! How long does it take to get there? The answer to that depends on a few factors. First off, how far away are you from having an “excellent” credit score? Are you 10 points away or 100? That will largely dictate how long it will take you to get there. You also need to think about the aspects of your credit report that are pulling you down. If you simply don’t have enough of a credit history established, you can easily raise your score by tens of points in a short period of time, simply by responsibly using a credit card and earning credit limit raises. If your lower credit score is due to negative references, though, there’s not much you can do but wait. Let’s say that you have a late payment from a rough financial time in your life. If there were extenuating circumstances involved, you can try writing a goodwill letter. If accepted, this has the ability to erase negative reports and raise your score right away. Otherwise, though, you’ll need to just deal with that bankruptcy, account that went to collections, or missed payment until it falls off of your credit report (usually after seven years). Building an excellent credit score takes time, which is why it’s so highly regarded. By responsibly managing your credit products, staying out of debt, and paying on time (every time), though, you’ll be well on your way to an above-average score. If you have excellent credit, and can get approved for the best rewards credit cards out there, you’re in for a treat. Not only do they offer stellar rewards on your spending, but also come with excellent welcome and annual bonuses. Some of the best welcome bonuses involve hundreds of dollars in cash back, or tens of thousands of points/miles, simply for spending what you would have spent anyway. As long as you meet these spending minimums in the period of time allotted, your account with be credited for the bonus. You can also snag various annual incentives. Take the Citi Prestige Card, for instance, which offers a $250 air travel credit each and every year, which you can use toward airfare to the destination of your choice. Other cards, like the Platinum Card from American Express, offer credits toward baggage fees, taxis and tolls, or even in-flight meals and drinks. Oh, and you will get credits to put toward your Uber rides each month, too. No matter your lifestyle, preferences, or spending habits, there is a rewards credit card for you and your excellent credit. Before selecting, and applying for, your next credit card, you should take some time to compare the options available. Look at the welcome bonuses, rewards, and annual benefits offered for each of these credit cards that are geared toward excellent credit. Think about your spending and how that will translate to earned cash back (or miles) each year. Be sure to also check your credit, so you know where you stand and whether you’re likely to be approved. If there are any errors on your credit score, or negative reports that are due to drop off soon, it might be worth waiting to apply. That way, you can ensure approval and even better your chances for a higher credit limit and lower interest rate. There are many credit products out there that are considered to be the best for those with great credit scores. Comparing them against your own personal habits and preferences is key when deciding just which product is the best credit card for excellent credit.